Established in 1988, FA Systems Automation is a progressive and well-established organization providing advanced, high-precision manufacturing automation equipment and solutions to meet our customers’ requirements. 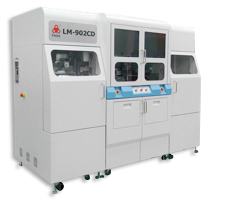 NDC International offers select fully automated FA Systems laser marking systems. See our current offerings below.